When many people think of hospitality jobs, they think of positions as restaurant and hotel managers, but there are some exciting jobs in the hospitality industry that let workers do even more. These positions may require that they work behind the scenes, but most allow workers to help customers have the best trips and days of their lives. Working as a tour guide is a good choice for anyone who has strong organizational skills and likes a challenge. Tour guides are the ones responsible for helping travelers have a great time in a destination. They can work for hotels and resorts, but they may also work on their own or for hospitality companies. Working as a tour guide is exciting because workers can take travelers to exotic destinations every day of the week and work in positions that require quite a bit of travel. Hotels and resorts hire concierges to make sure that guests have access to everything they could possibly want. A concierge might source sold out concert tickets and book reservations at some of the best restaurants in a city. They also help guests with any special requests they might have such as buying an expensive piece of jewelry for an anniversary gift or planning a birthday party at the hotel. The job is exciting because the needs of guests change so often. Another exciting job in the hospitality industry is that of an event planner. Event planners work for facilities that put on special events, including resorts and conference centers. They might work with a conference center and put on professional events that bring in thousands of people from around the world. Some planners specialize in smaller events such as weddings and other types of parties. They help clients source all the supplies they need and hire workers such as wait staff and caterers to make and serve the food at the event. According to the Bureau of Labor Statistics, the median salary for event planners is more than $48,000 a year. Anyone who likes traveling might find that working as a cruise director is exciting. Cruise directors can work for major lines such as Disney and Carnival and work for smaller lines too. They help travelers stay busy and feel comfortable when traveling on a cruise. Activities directors assist cruise passengers with activities that they can do on the ship, including games they can play and arts and crafts classes for kids. This is an exciting job because it allows directors to travel by ship all around the world. 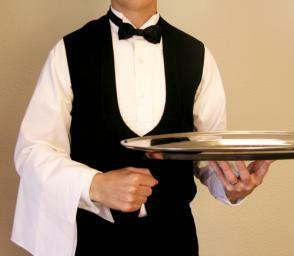 The hospitality industry offers a number of food service jobs. One of the more exciting positions available is that of an event caterer. These caterers help clients pick the perfect foods for a party of another type of event. They can handle any dietary restrictions that others have, including people who cannot eat gluten and those who are vegan or vegetarian. Caterers work with the budgets that customers have and help them stick to those budgets. They may handle the hiring of extra workers or the sourcing of tables and other rental equipment too. Those working in the hospitality industry today have more options available to them beyond managing workers in a hotel or restaurant. They can work in positions that involve direct contact with travelers and jobs that let them travel the world. Cruise director and event planner are just some of the exciting jobs in the hospitality industry.